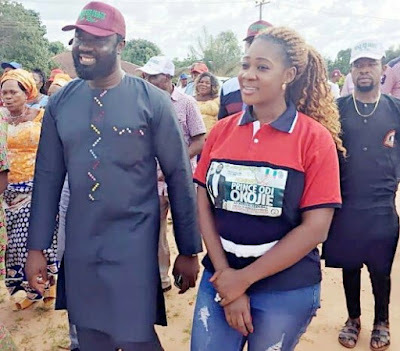 Nollywood actress Mercy Johnson has started campaigning for her husband, Prince Odianosen Okojie who is running to Represent Esan Constituency at the National assembly. 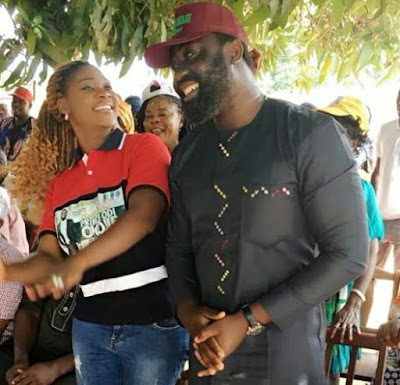 She was seen rocking a customized T-shirt with her husband’s name as she hits the campaign trail on Tuesday. 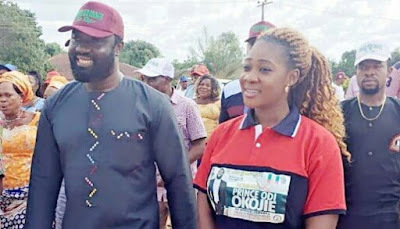 This is Mr Okojie’s third shot at politics.